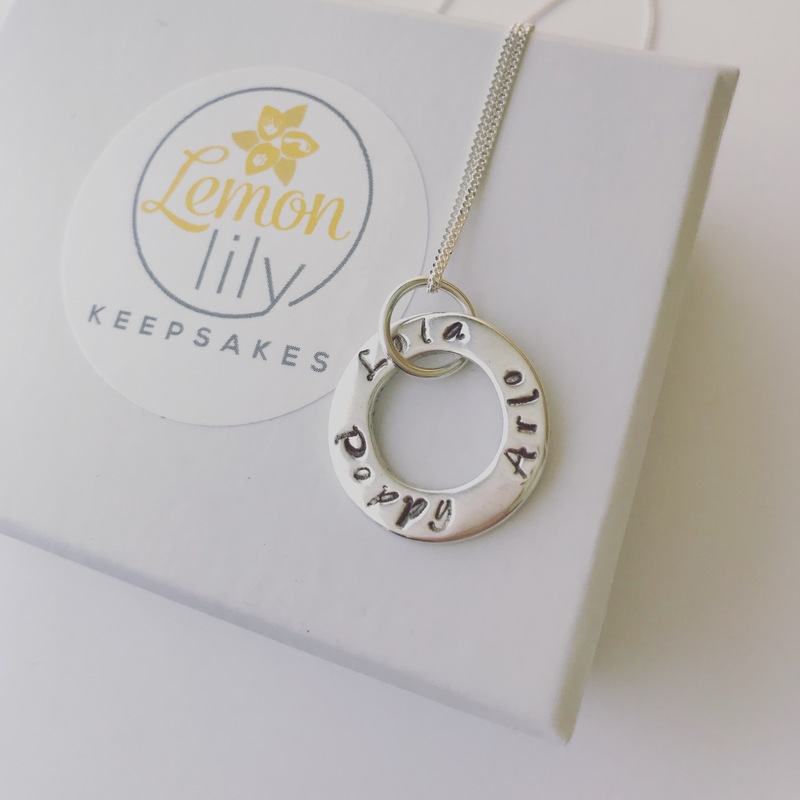 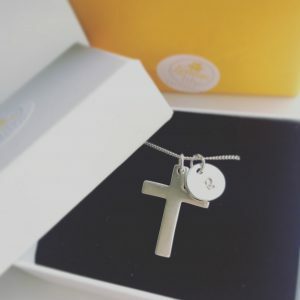 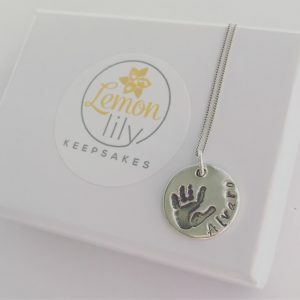 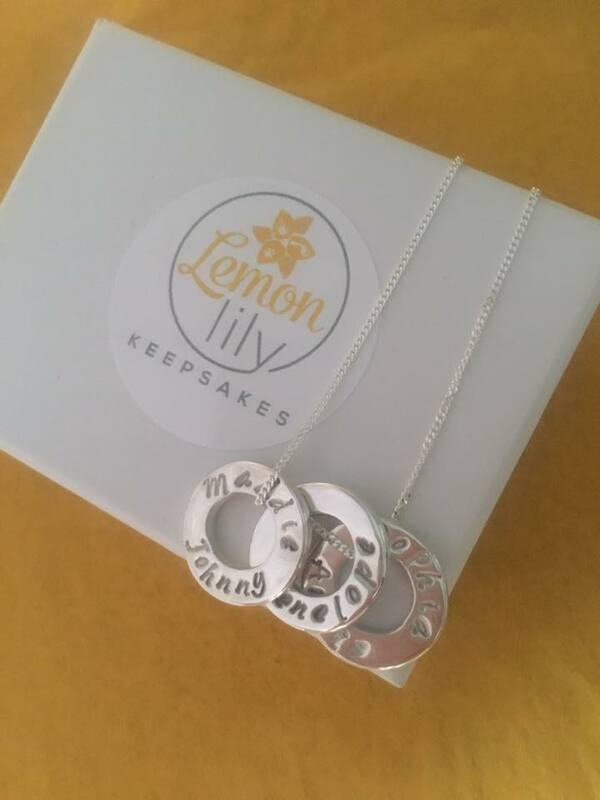 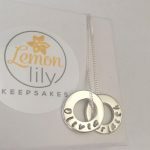 A beautiful way to display your loved ones names, our personalised name necklace is a popular choice. 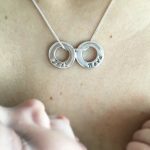 If choosing 2 names on each circle then maximum 6 characters per name. 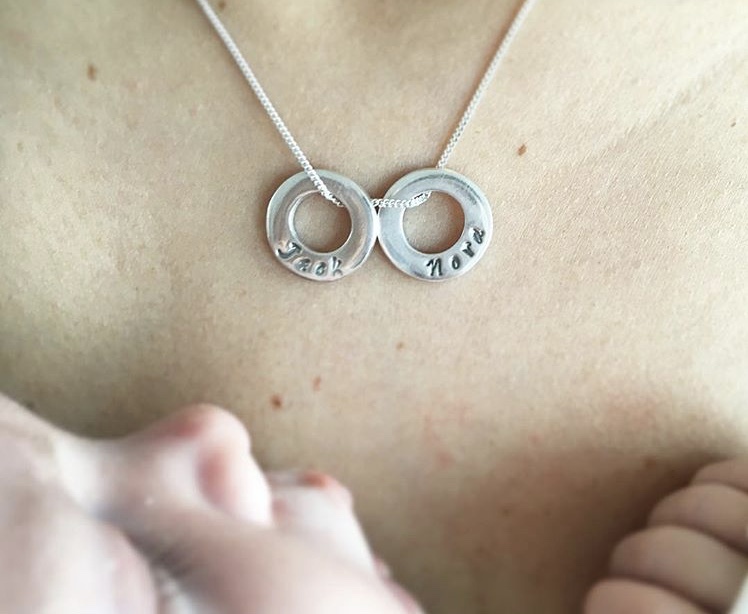 If one name per circle then maximum 10 characters per name. 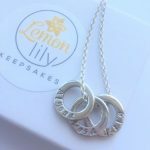 Our large circle can hold upto three names no longer than 5 characters each. 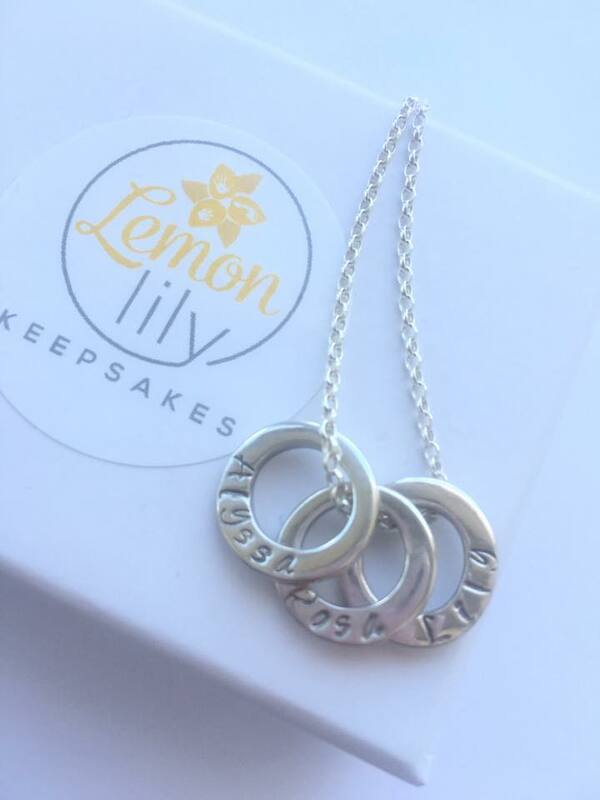 A beautiful way to display your loved ones names, our name necklace is a popular choice. 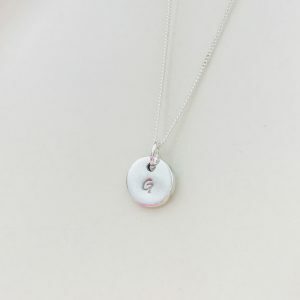 The charm can be ordered with or without a necklace. 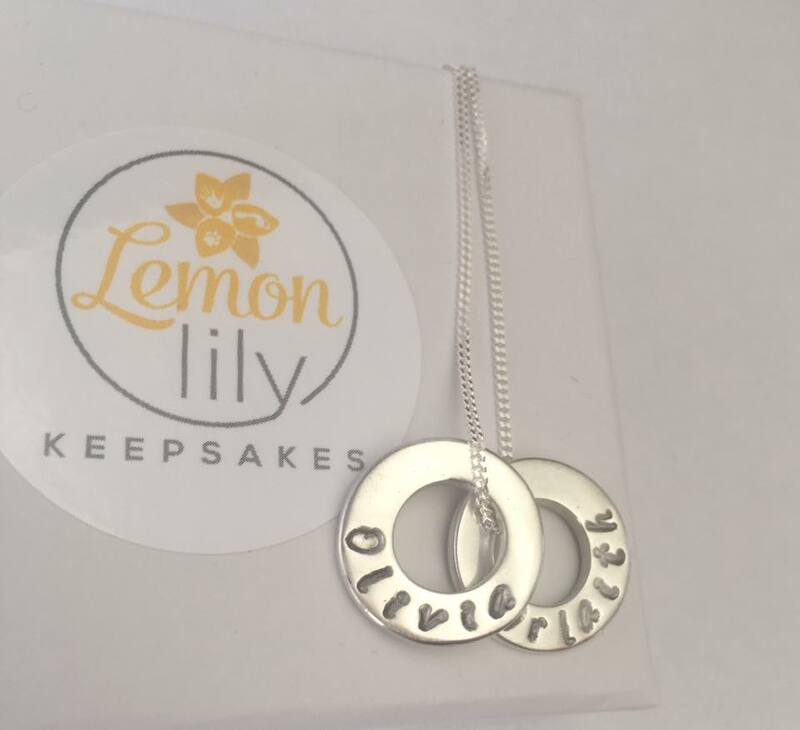 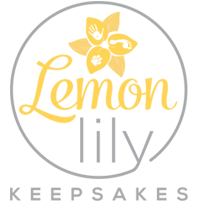 All our necklaces come in either 16″, 18″ or 20″. 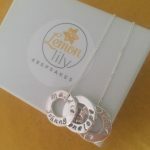 Please specify length when ordering.